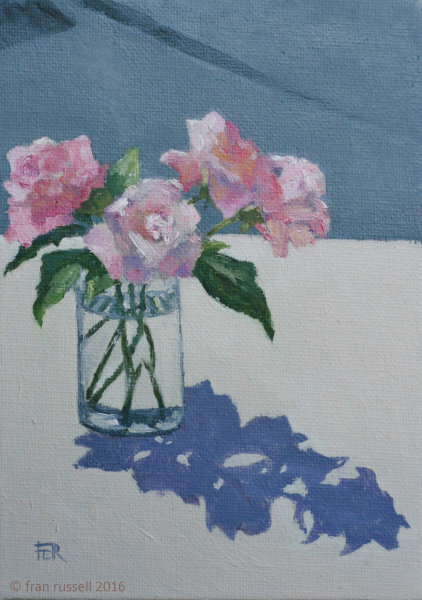 My Gallery > Oil Paintings > Pink roses, June sunshine. I was painting outside in the sunshine again today at Smallhythe Studio for a demonstration during SEOS. This time Pink roses from our garden. So enjoyable to do a still life painting en plein air!